When the Salsa Marrakesh came out, it was the first touring bike available in both a ‘short’ frame geometry for drop bars and a ‘long’ geometry for flat bars. This was a great move from a design perspective, as handlebar shape plays a large role in both how you sit on a bike as well as how it handles. The 2018 Salsa Marrakesh is unfortunately no longer available with a flat bar, but it has received a price drop, a fresh lick of paint, some wider tyres, and upgraded shifters and brakes. I’m only speculating, but the move to eradicate the flatbar model is likely due to a lower-than-anticipated demand. I’ve seen a lot of Salsa Marrakesh bikes both in shops and on the road, but all have been spec’d with drop bars, presumedly as a result of the strong preference for drop bars in the North American, Australian and British markets. Even without the flatbar model, the Salsa Marrakesh is one of my favourite touring bikes. The frame geometry is flawless, with long chainstays, a slow steering speed and six frame sizes that get progressively larger based on their stack and reach measurements. The steel frame tubing is both internally and externally butted to create the stiffest front end possible. 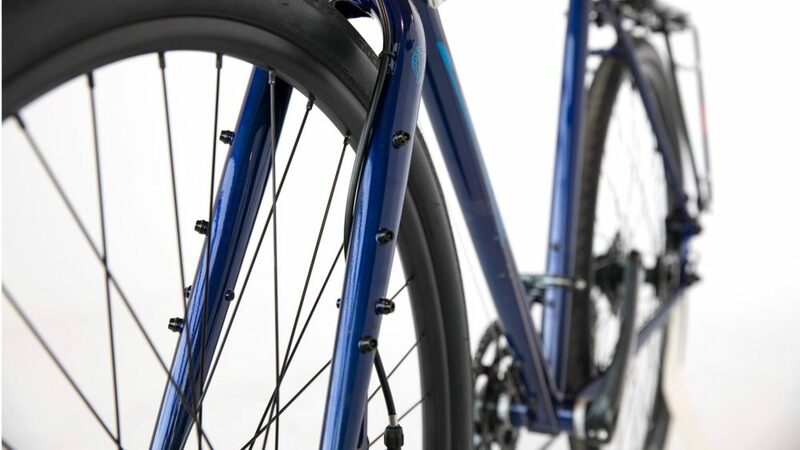 The frame employs sliding rear dropouts to suit internally geared drivetrains like the Rohloff Speedhub or Shimano Alfine – ideal for a custom build or perhaps later upgrade. There’s clearance for wide 29×2.0″ tyres too! 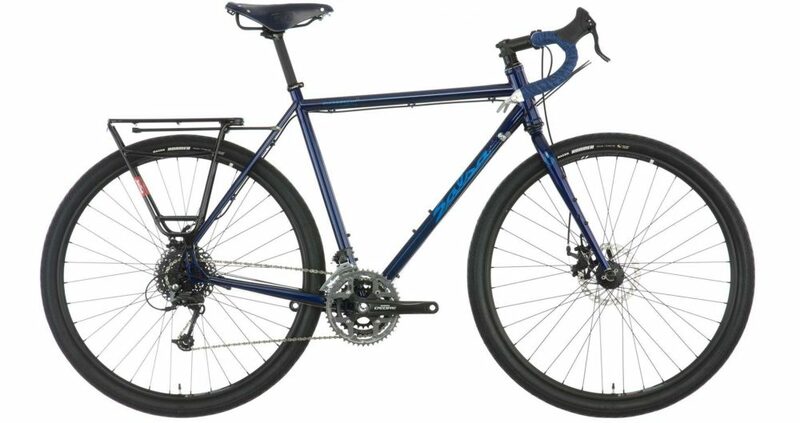 The frameset has a wide array of eyelets for all of your accessories including full-length fenders, front and rear racks, 5x bidon cages and 2x cargo cages. The choice of parts is outstanding. The 3×9 drivetrain yields a gear range of 21-122″ which will help you to get up the really steep hills at 6km/h (60 RPM). Gear changes are made by the ever-reliable Shimano barend shifters, but if you prefer integrated brake/shifters, check out the compatible Shimano Sora R3030 lever set. Hayes cable disc brakes stop the bike on a dime in all weather conditions, plus it’s really easy to maintain and replace these cables on a tour. A Brooks B17 saddle is selected to complete the build; if you’re not familiar with them, they’re regarded as one of the most comfortable touring saddles. Salsa’s fantastic sliding dropout design brings the biggest downside to the Salsa Marrakesh: the necessary use of their aluminium rear rack. It’s my experience that steel racks tend to do better in the long-term. 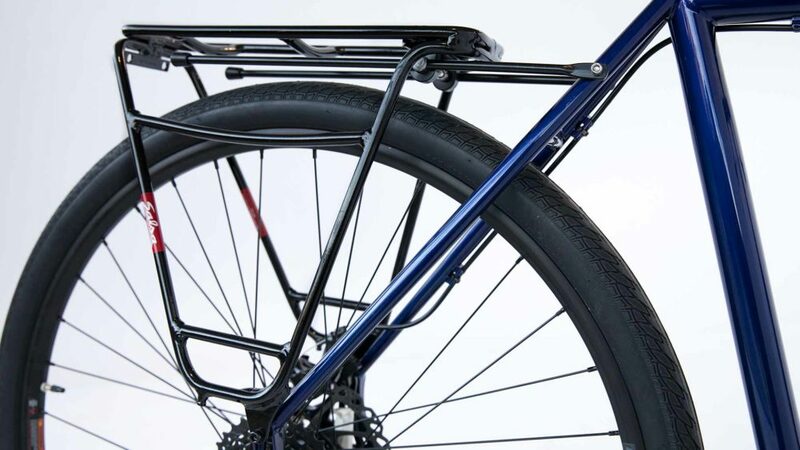 It’s worth noting that other racks will technically fit but will result in your panniers sitting very high off the ground (not ideal for bike handling). The Salsa Marrakesh hits the scales at 14kg (or 31lbs) which is typical of any modern steel touring bike. 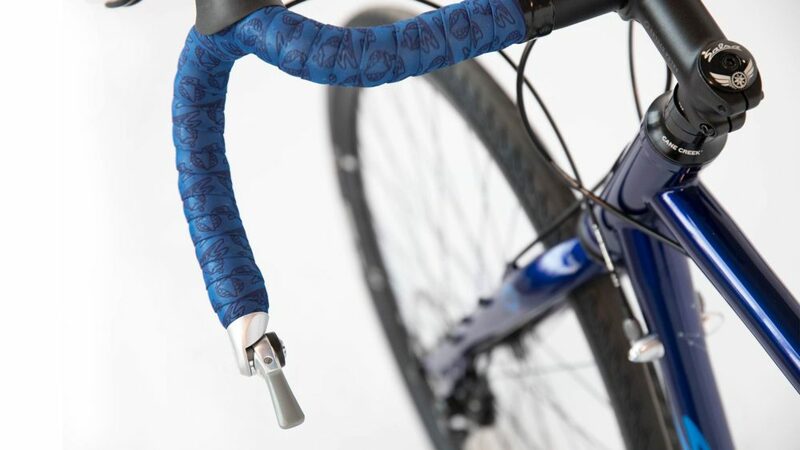 It’s available as a frameset for US $649 and as a complete bike for US $1499. 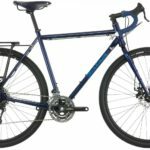 Want To Compare This Touring Bike With Dozens of Others? Check out The Touring Bicycle Buyer’s Guide which compares touring bike steering, sizing, gear ratios, specification, pricing and more. This guide is updated annually with the latest models at no extra cost! 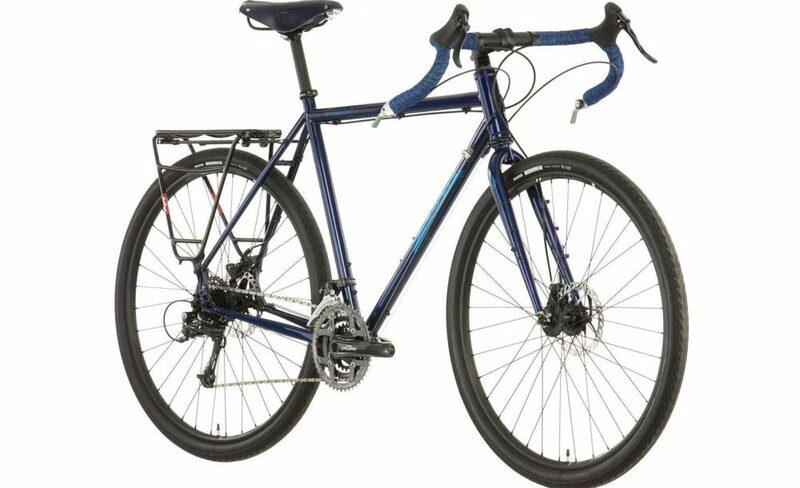 The Touring Bicycle Buyer’s Guide helps you compare touring bikes, side-by-side. What’s the Difference between Cyclocross and Touring Bikes?